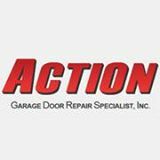 Living on the outskirts often means waiting for service, but that’s not the case with Action Garage Door. Our Celina garage door repair team is standing by to get your assembly back on track. If you’re looking for an improvement with a high return on investment, we offer a full range of residential and commercial door replacements built with style and lasting strength. All of our technicians undergo extensive training and background checks to give you quality service and peace of mind. Plus,we’re fully compliant with Celina building code. In addition to residential and commercial installations, we specialize in all areas of garage door repair including torsion springs, cables, tracks, programmable openers, and more. We offer you valuable tips on how to best care for your assembly, and we’ll even teach you how to perform a proper safety inspection. Wood is traditional and dramatic. These doors are manufactured with thick kiln-dried lumber and come unfinished or primed. You can also choose from a variety of window and trim options to match specific features of your home. Steel is a great option due to its incredible durability. Our Amarr line features American-made steel that is galvanized to prevent rust and provide superior protection. These doors have excellent R-Valuesfor lowering your energy bill. Plus, many models come with weather reinforcements designed to withstand those high winds in Celina. Pair that with a dual lock assembly on your commercial overhead door, and you’ve got an effective way to secure your equipment. We work to be Celina’s go-to company for garage door repair and installation. Call 972-299-8980 today to learn how 30 years of industry experience can solve your problem with one simple appointment. Alf was fantastic. Easy to get chat and made one feel you were in the proper hands of a professional company and technician. Called.. same day appt... service... quote and finished the next day. We will always keep them in mind and will use in the future for any other issues or change of garage doors. Of course, requesting Alf... he truly was A superb man!!!! Alf was prompt, worked swiftly and was a pleasure to deal with. I was charged exactly the amount estimated. No hidden or extra charges. Very pleased. Great service, willing to travel. Very good -fast, friendly and professional, felt that the pricing was a little high but quality of service out weighted that. Great Tech and knows his stuff. He is an asset to your company! !